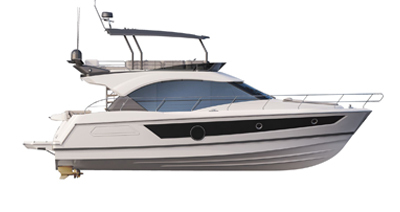 Beneteau picked up the Flybridge up to 60ft Award for the Monte Carlo 6. The great and the good of the boating industry converged on the Rosewood Hotel in London last night for the Motor Boat Awards 2016. The ceremony was organized by the British Motorboat & Yachting magazine that revealed the top boats from the past 12 months. It was a great night for Beneteau, who picked up the Flybridge up to 60ft Award for the Monte Carlo 6. The Judge’s Special Award went to Carla Demaria, General Manager of Beneteau, for her remarkable achievements and her work with Beneteau, Monte Carlo Yachts and UCINA (the Italian marine industry association). The Monte Carlo 6 was exhibited at the Yachts Miami Beach show, February 11-15, along with the new Gran Turismo 40, 46 and Swift Trawler 30.